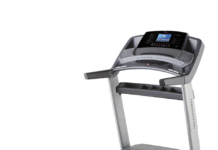 FreeMotion 860 treadmill Being a member of the reputable ICON Health & Fitness Company, which is known for producing the highest quality products at low prices, the FreeMotion 860 treadmill delivers the expected excellent performance. It is featured with a powerful motor producing 3.8 CHP, commercial class that provides a quiet reliable service. The 22ʺ by 60ʺ 2-ply tread belt gives you plenty of room to stretch your stride without running out of space. Further, it comes with a Surface Response Suspension to protect your joints from the impact of exercise. The motor is designed to give you a smooth and quiet workout experience. It generates a maximum speed of 12mph to burn more calories. The 0 to 15 percent incline and -3 to 0 percent decline levels let you boost your cardiovascular efficiency and muscular endurance. 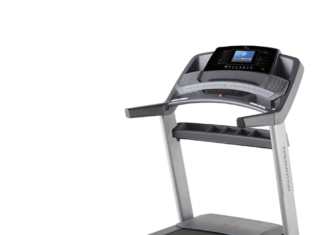 When it comes to entertainment options, the FreeMotion 860 treadmill has plenty to offer. For starters, with an idiot membership, you can run anywhere in the world from the comfort of your home courtesy of Google Maps. From Barcelona to London, you can experience it all. 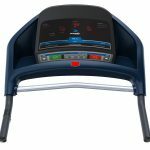 Even without an iFit subscription, the treadmill is equipped 34 built-in workout programs designed by professional trainers to push your body to the limit. 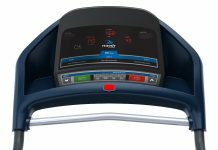 Further, distance covered, speed, calories burned and other workout stats are displayed on the 7-inch full-color touchscreen display. 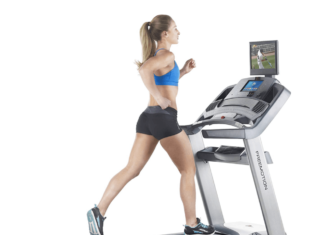 The treadmill also allows you to plug in your favorite media player to keep you well entertained and motivated. 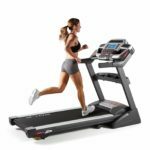 The FreeMotion 860 treadmill SpaceSaver design with Easy Lift Assist allows the treadmill to fold vertically for storage and easy maneuverability. Powerful, robust and reliable motor. iFit compatible to customize your workouts. 34 built-in programs to challenge your body. A clever space saving design. Lifetime warranty on the motor and frame for your peace of mind. Two hand grip sensors/ chest wrap to monitor your heart rate. iPod and MP3 port to keep you entertained. Incline and decline options to challenge your fitness level. Large track surface to stretch your stride. Balanced non-flex rear roller to reduce friction. Supports up to 375 pounds in weight. 7” touchscreen display with a built-in Android browser to keep track of your fitness stats. Cooling fan for a comfortable and pleasant workout experience. Cooling fans are a little noisy. Question 1: Is the wireless chest wrap included in the purchase of the treadmill or sold separately? Answer: It is included with the purchase of the treadmill. Question 2: What’s the size of the balanced rollers? Question 3: This machine is quite expensive, but is it worth the investment? Answer: True, it is not cheap, but it is worth the money. Question 4: Should I be concerned about any motor noise because I don’t want to bother my neighbors? Answer: No, the treadmill is not loud at all. “I love everything about this machine; from its sturdiness, the quietness to the impressive features, I absolutely love it! I’m just glad I made a perfect choice. Highly recommended, you won’t be disappointed.” Michelson Jones. “Such a remarkable product, but the machine itself is quite heavy and large. You’ll definitely need some extra hands around to carry/move the treadmill and also putting it together.”Girlnextdoor. “It worked great for about 10 months, and then the squeaking began. The thing is I don’t use it much often. I only jog or walk on the treadmill for an hour or so, thrice a week and I only weigh 177 pounds so you can see I’m not a huge person. The noise is not that loud but it can be distracting. Listening to music sometimes doesn’t help. I am a little bit disappointed but, everything else is great.”Basketball lover. “I bought the treadmill to shed some wintertime weight gain because I was too lazy to hit the gym every other day. It is amazing how comfortable, sturdy and quiet this treadmill is. It’s like having a health club quality machine in my own home! I’m absolutely satisfied with the machine, price, and service –basically everything.”Martha.C. 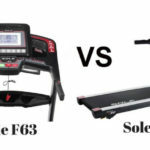 The FreeMotion 860 is among the best treadmills in its price range that offer quality workouts from the comfort of your home. 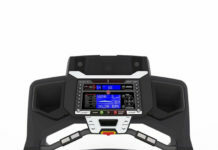 With a powerful motor driving it, the FreeMotion 860 treadmill provides nothing short of exceptional performance. 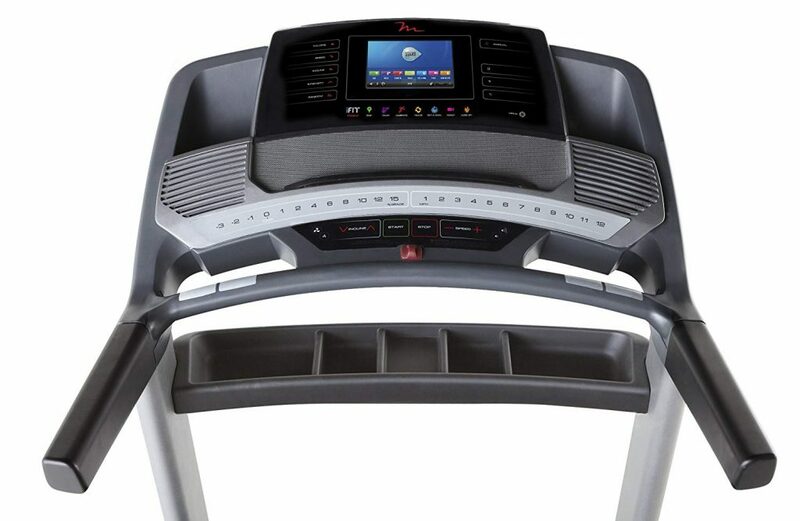 Further, the treadmill offers a variety of workout options and features to keep you interested and challenged. If you want to put your body to the test, try this treadmill. The only drawback most people have complained about is the cooling fans can get a little noisy. 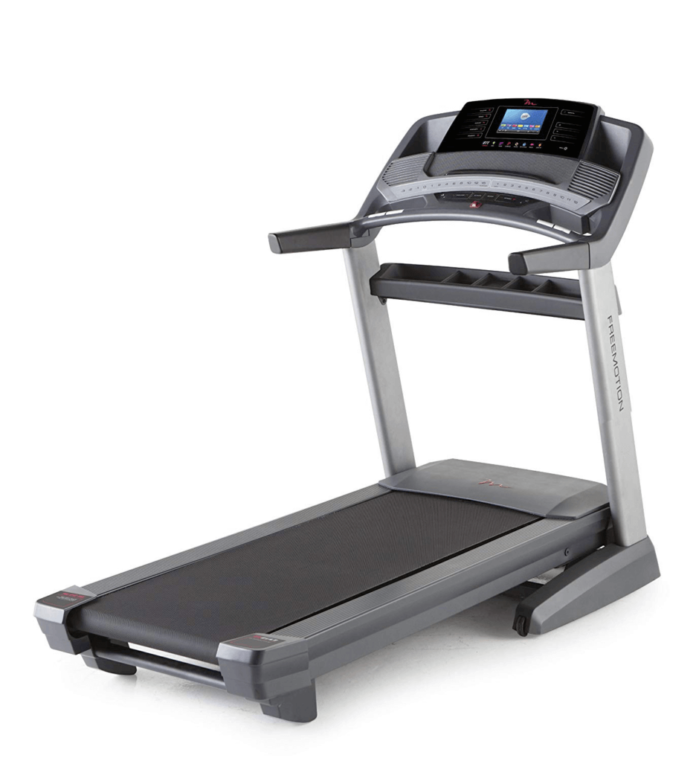 But, the treadmill itself is a great deal; very durable and reliable. 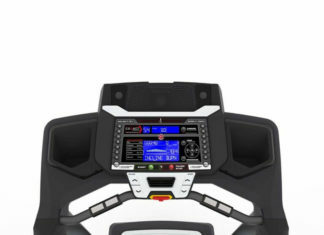 World Best FreeMotion 860 Treadmill Review for you.We have discussed FreeMotion 860 Important Features. Some FAQ.